Livermore-Pleasanton, Calif., Lodge No. 2117 used its Promise Grant to hold a free children’s carnival! At the carnival, kids played games like mini golf, fish bowl toss, and Hoop Shoot practice. Local police stopped by to talk about the dangers of drug and alcohol use and abuse, and the fire department gave tours of their fire truck. 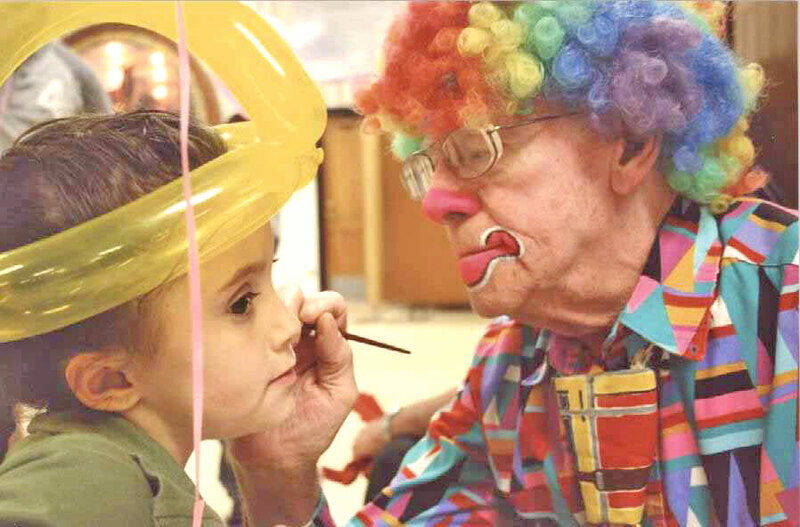 Above, an Elks member a local clown puts the finishing touches on an attendee’s face paint. Thanks for the posting, it was a very successful event and the kids had a great time. We recieved a lot of positive feedback from the community and are looking forward to making this an annual event! Elk's Member Tammy Sturgill is an absolute gem, taking this from a Promise Grant request, to planning, organizing, all the way through the final event. (PS) the clown pictured is a Member.